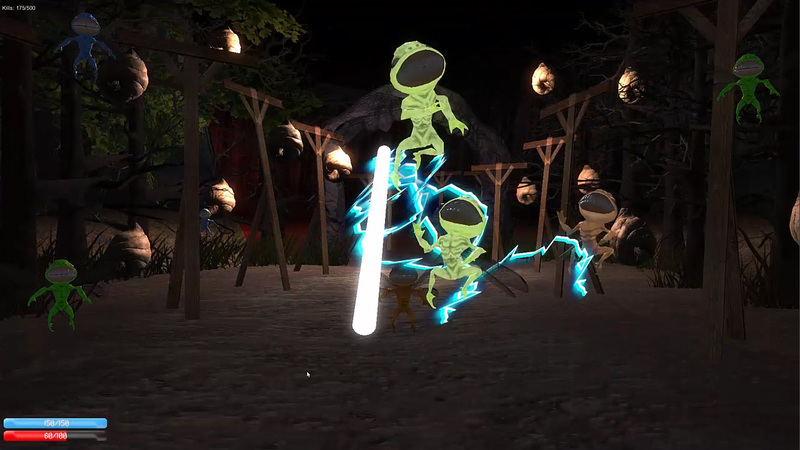 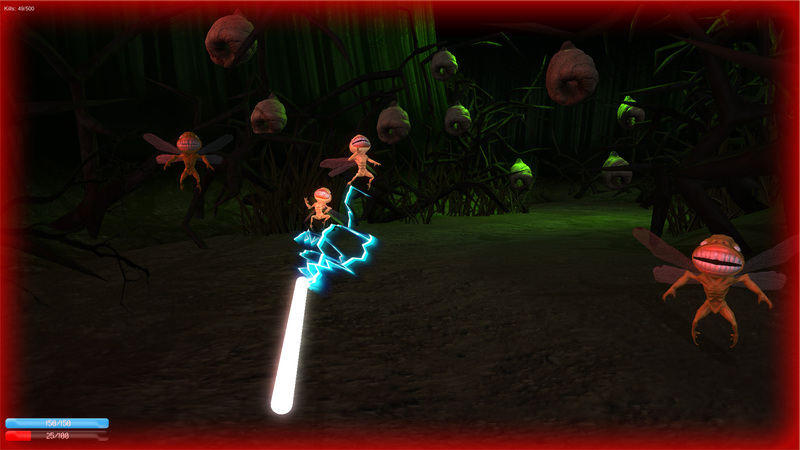 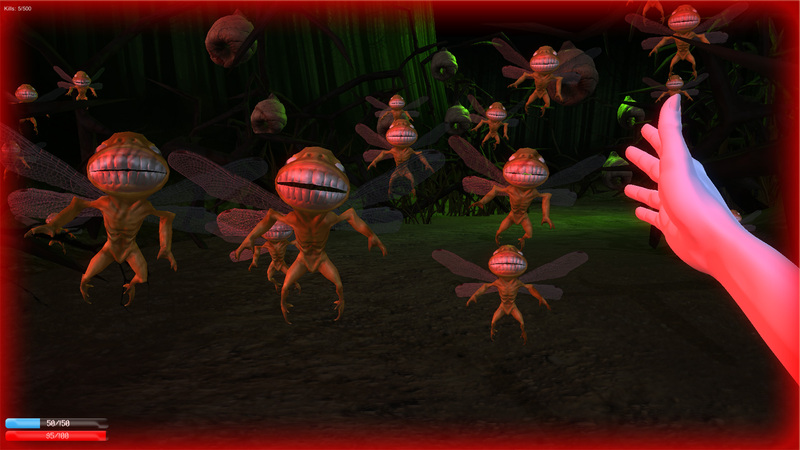 Game that is using tool tracking - Use your wand to electrocute intrusive fairies. 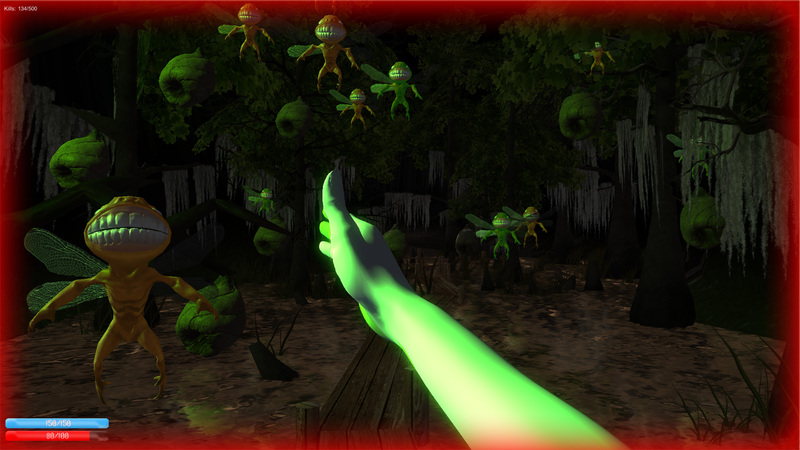 And don't get bitten!!! 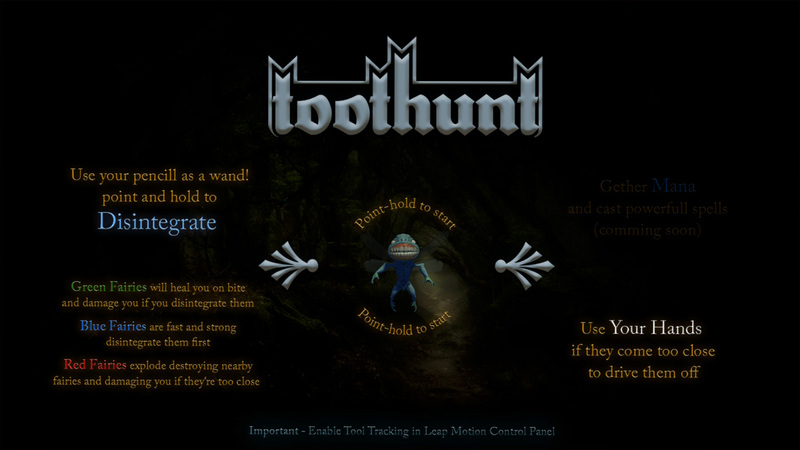 Versions for Mac and Liux: http://anywaay.com/files/Toothunt_iOS_v1_0.app.zip http://anywaay.com/files/Toothunt_Linux_v1_0.zip If you have difficulties with tracking and/or your wand points to you (it supposed to point out from you) try hiding it (it will disappear) and put your hand in front so that controller can calibrate... afterwards it's good to go.